For some reason, Jeremy Corbyn and the British Labour Party he leads are sticking to the two-state solution at a time when more and more pro-Palestinians are abandoning it. 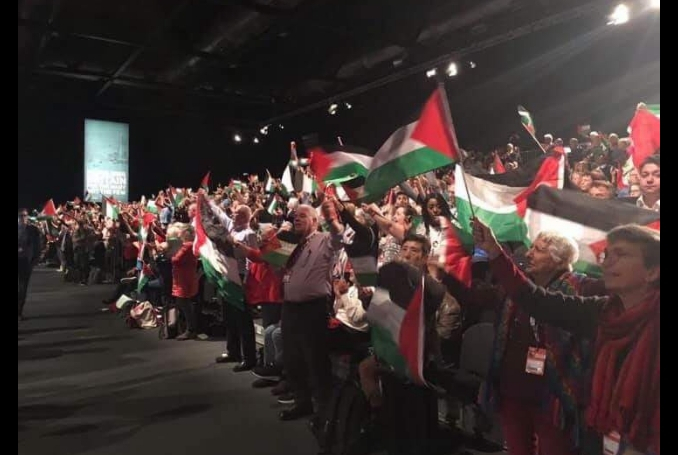 Is it possible to bring Labour around to support for a normal democracy in Palestine, free of the racism and apartheid the left genuinely abhors? This got a 35-second standing ovation from the delegates of the party which soon could govern a member of the Security Council. Recognizing a Palestinian state can, of course, be done without prejudice to a one-democratic-state solution, but there are several contradictions in coming out for its antithesis, the two-state solution. Most obviously, the two-state solution is a raw deal for Palestinians. For one hundred years Palestinians consistently and unanimously rejected partition of their homeland, thus placing the burden of proof on anyone who claims to simultaneously support Palestinian aspirations and the two-state solution. 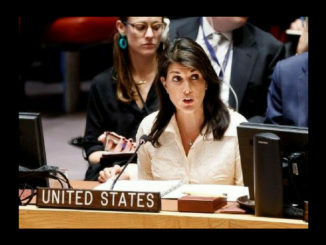 What’s more that solution permanently robs Palestinians of over 80% of it of their country, and of the two states literally on offer, the one planned for them by today’s version of the Great Powers is a small and insulting remnant, not even sovereign because, after all, the one the Jewish Israelis get has to be “secure”. And its security as a Jewish state depends on excluding as many Palestinians as possible. Whether the West Bank/Gaza Strip archipelago is “viable” or not is beside the point. It is its undesirability and its injustice that are the point. We too often focus on the Palestinian state, though, of the two states, without at the very same time scrutinizing the Israeli one ‘recognized’ and cemented in place by the two-state solution. But in any version the solution has nothing to say about the rights of Israel’s non-Jewish so-called citizens, nor about the Palestinians’ right to over 90% of the land within Israel, that taken from them for Jewish use only. Literally, the two-state solution is a Zionist solution because one of the two states it wants to impose is the Zionist state. So far, so familiar. But when we add into our inspection of the two-state solution the right of return for the over 8 million displaced Palestinians, the case is closed. Even the most liberal of the envisioned two-state solutions have no place for these people in Israel, where the homes and lands are located to which they have the right to return. That would numerically and politically totally destroy the “security” of Israel as long as it defines and realizes itself, as it does, as the state of the Jews. It would have to make way for a standard democracy. Jeremy Corbyn, however, did not mention the right of Palestinians to return. This must have been deliberate because just before and after the minute (minute 46) he spent on Palestine he explicitly and passionately called for the return of two other groups of refugees: the Rohingyas and the Syrians. 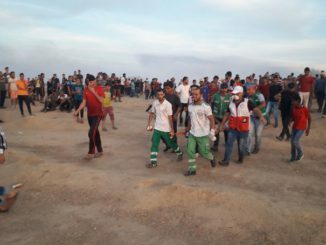 So immersed are we in the Zionist narrative that we do not even expect Jeremy Corbyn to utter similar words about the Palestinian refugees, even knowing that they are far more numerous and long-suffering than either of the other deserving groups. The key restoration of justice in the form of the right of return is irredeemably incompatible with the state of Israel. Yet shouldn’t it be possible to convince the Labor Party and exceptionally decent and knowledgeable politicians like Corbyn of this incompatibility, of this contradiction of supporting return for other refugees but not for Palestinians? We international supporters of all the rights of all the Palestinians wish Corbyn well and face a dilemma. His heart has always been in the right place concerning many of the rights of many of the Palestinians. His brave efforts for Palestinian rights started decades ago. The Labor Party’s frenetic applause at its leader’s pro-Palestinian words is a thing of hope, not to mention the Conference’s passage of a resolution against arms sales to Israel. But can Labour – or the new faces soon entering the US Congress – walk the last mile? The problem is in the fine print. However strongly we emotionally rejoice in Corbyn’s partial escape from the mainstream on the Palestine issue, and however strongly we defend him from ludicrous ‘antisemitism’ allegations (despite his party’s purges of critics of Zionism) – the two-state solution is tragically in the center of the mainstream. 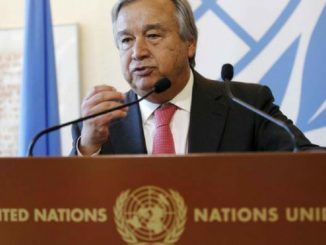 For Corbyn and Labor are reaffirming their place in the chorus of reactionaries who at the UN last week were launching their last-ditch defense of the two-state solution: Donald Trump, Emmanuel Macron, Benjamin Netanyahu, Abdel Fattah el-Sisi, Haaretz newspaper and of course the unelected Palestinian leader Mahmoud Abbas. Nothing in principle against strange bedfellows, but this gives reason to pause. During this pause, we must look ever so carefully at what the two-state solution actually means. In addition to its incompatibility with BDS’s four demands for self-determination, equality within Israel, de-occupation, and return, a short year ago even Jerusalem was taken away! It could be that the theft of Jerusalem will be the final straw, or rather the final shovelful of dirt on the two-state grave, which started dying back in 1938 when the British government realized that the partition its Peel Commission proposed was a bad and impractical idea. Whether businessman Trump will realize that support of Israel is ‘bad business’ anyway, and force Israel to accept an Israel without ‘Judea and Samaria’, is beyond my ability to judge. But having a Britain on the Security Council that would resist the two-state burial of Palestinian rights is something to fight for, so we should lobby Labour urgently. Jeremy Corbyn has the knowledge, heart, and wherewithal to move beyond two states, to democracy and an overdue end to the apartheid colonialism his party is duty-bound to oppose. We must try to show him and his party what they are actually supporting when they support a “secure Israel” which literally excludes all Palestinians from their homeland. This is the best chance internationally for Palestinians since 1947, but Labour is not yet good enough. – Blake Alcott is an ecological economist and the director of One Democratic State in Palestine (England) Limited. The author welcomes any information on ODS or bi-nationalism activity sent to blakeley@bluewin.ch. He contributed this article to PalestineChronicle.com.